Police are appealing for witnesses following a spate of thefts and attempted burglaries which they believe could be linked. On Friday, April 12, officers received reports of a stolen Saab from Kendal Close in Rainford between 1am and 8.30am. The offenders entered the property and took a number of items including car keys, the car was recovered a short distance away in Bushby Lane after possibly being used in another burglary. A second burglary of a garage was reported in Kendal Close on overnight on April 12 when a number of items were taken including a pedal bike and power tools. 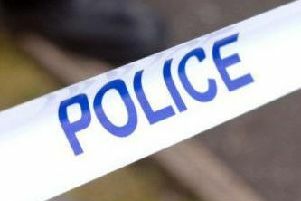 A report was received of an attempted burglary in Kendal Drive, at around 2am of April 13 when the occupants witnessed two men in their garden. They alerted the police and the offenders made off. 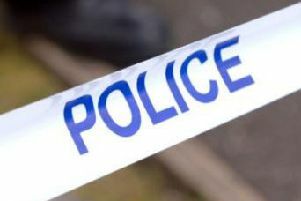 One man is described as white, between 25 to 40-years-old, around 5ft 9in, wearing black trousers, dark grey coat and a black baseball cap. Forensic, witness and CCTV enquiries are ongoing and anyone with information is urged to come forward. Detective Inspector Stephen Ball said: “Due to the close proximity of these incidents, and mentions of a stolen car, we believe that they may be linked. "We are carrying out extensive enquiries in relation to all of these incidents and will be acting on all information provided. “If you saw anyone acting suspiciously in the Rainford area around Kendal Drive, Kendal Close and Bushby Lane, in the early hours of Friday, April 12, give us details either directly or via Crimestoppers, which is anonymous and completely independent of the police. “These offences have taken place during a forcewide operation on burglary, Operation Castle, which has been seeing successes on a daily basis. "Whenever burglaries take place, we are determined to find those responsible for such serious incidents and put them before the courts.